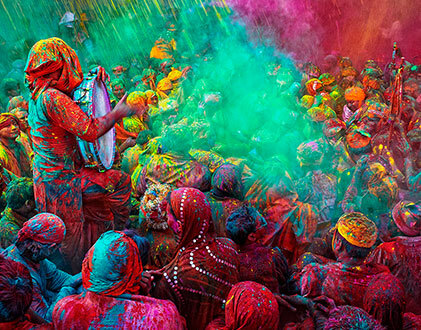 Allow the promise of world-class service and a dry climate to entice you to the Middle East. 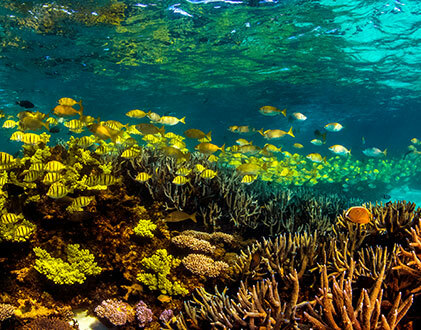 A region rich with both history and innovation, the two parallels collide for an otherworldly experience. Bold and daring, forward-thinking, yet traditional, Dubai is one of the world’s most unique cities. Synonymous with wealth, luxury, futuristic innovation and architecture, Dubai is a hub of high-living, where nothing is too over-the-top. 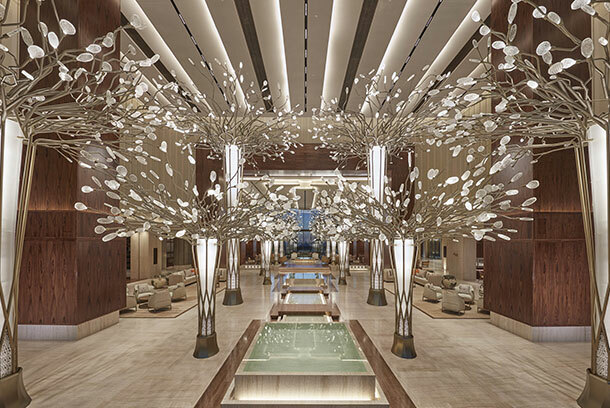 Set to bring a new wave of luxury to the shores of Dubai, the Mandarin Oriental Jumeira opened its doors to guests in February 2019. 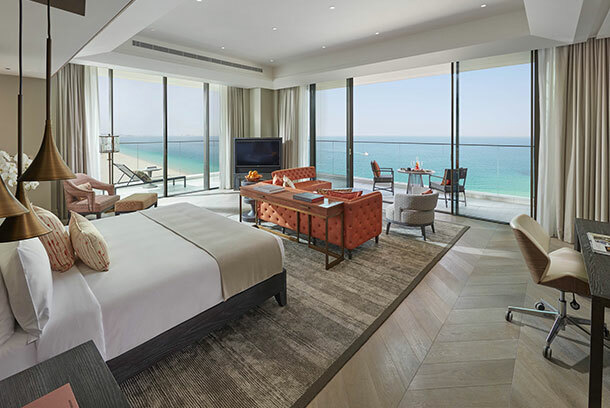 With a desirable location that is unparalleled, the Mandarin Oriental Jumeira features endless views across the glistening Arabian Gulf and the dazzling Dubai skyline. Evoking a sense of refined luxury and relaxed elegance, the Mandarin Oriental Jumeira will be home to six restaurants and bars that are already becoming noteworthy additions to the exemplary Dubai culinary scene. For more information please contact Quintessentially Travel by emailing info@quintessentiallytravel.com or calling +44 (0)207 022 6560. A city of luxury and innovation, Abu Dhabi is a glamourous destination which is graced with glass-panelled sky-scrapers, age-old bazaars, the famed Ferrari World, and traditional wonders, making it an exciting city escape. 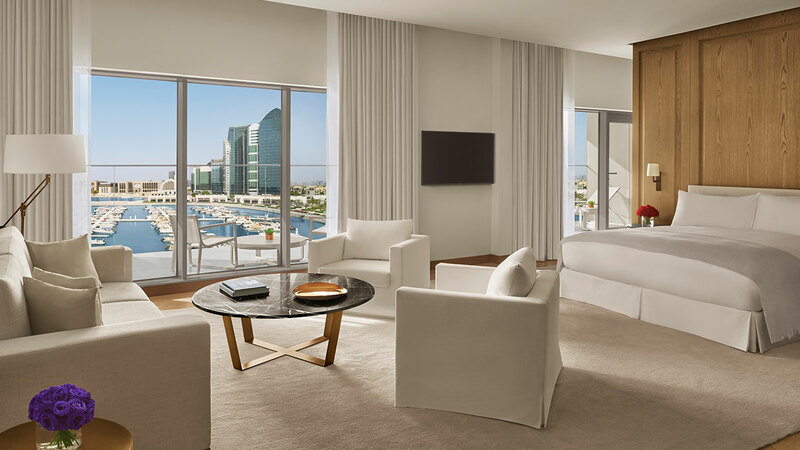 With only eight luxury boutique properties around the world, the EDITION hotels are best known for offering ‘high-octane’ glamour and minimalist luxury, with the Abu Dhabi EDITION being the most Instagrammable of them all. Designed by Ian Schrager, the hotel pioneer and founder of the legendary Studio 54, this is the first contemporary hotel of its kind to grace the city. With three signature restaurants, a rooftop bar, nightclub, three-storey social space and spa, the Abu Dhabi EDITION leaves no stone unturned and offers a guest experience unlike any other where hospitality lies at the heart of its culture. Perfectly set on the waterfront of Al Bateen Marina, this eco-hotel offers a collaboration of creativity with the best comforts from home; all while remaining true to the EDITION’s sophisticated aesthetics. The Land of Arabian nights, Oman is an exciting and vibrant destination, thanks to its dry climate and beautiful beaches that are framed by swaying palms. 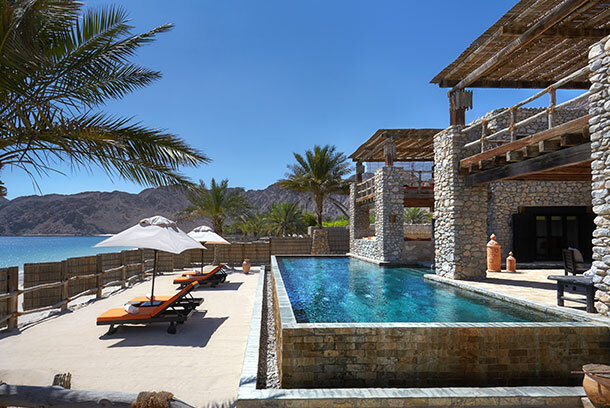 On the northern Musandam peninsula nestled between the Hajar Mountains and stretches of sandy beach lies the idyllic and beautifully secluded Six Senses Zighy Bay. Offering a style that oozes in rustic chic and barefoot luxury, Zighy Bay reflects an indigenous villa-style resort which comprises of pool or spa villas and suites, many complete with a private pool or garden. To top it off, each guest staying in a villa will be assigned a Guest Experience Maker who will be on-hand to cater to your every need. Whether you are looking to stay active or refuge your mind and body, Zighy Bay has got you covered. 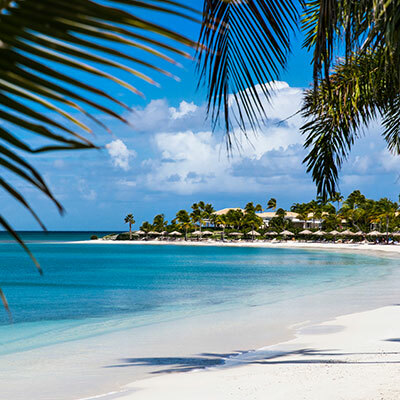 One of our favourite things about this property is the iconic Six Senses Spa which is committed to delivering wellness experiences that combines innovative and holistic treatments with a sense of peace and tranquillity. Just a short drive away from Dubai, Six Senses Zighy Bay offers an intimate level of luxury that is hard to find elsewhere. 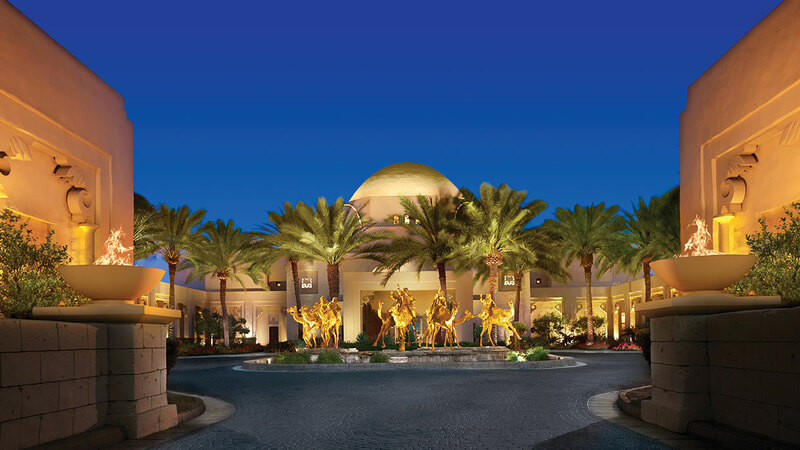 In the heart of New Dubai, you’ll find the One&Only Royal Mirage; a property that was inspired by the opulence and splendour of an Arabian Palace, where indulgence and relaxation are at its core. Just a stone’s throw away from Dubai’s city centre, beside the Palm Jumeirah, the One&Only is exactly as you would imagine with its opulent interiors, magnificent buildings and charming features around every corner. 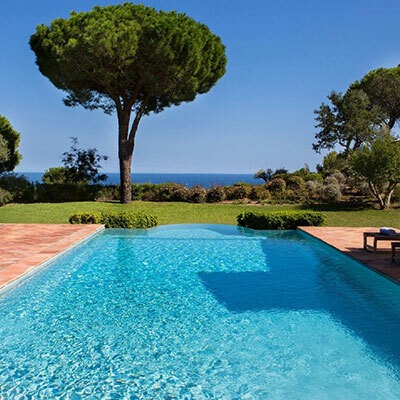 What makes this property so exciting is that although it is large in size, no two days will be the same. Whether you’re interested in discovering legendary flavours from the Middle East, Mediterranean and beyond, looking to indulge in a traditional oriental Hammam in the One&Only Spa or trying your hand at watersports and a round of golf, the One&Only promises a trip that is full of surprises, relaxation and adventure. Where glittering seas meet dramatic mountains, Oman’s port-city capital is quite the Arabian beauty. From traditional markets to glamorous shopping areas, and beachside strolls to desert escapades, Muscat is unlike any of its neighbours and offers an authentic Middle Eastern getaway. 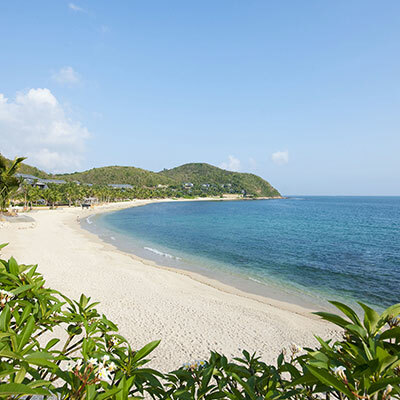 Just a short drive away from old Muscat, The Chedi is set within a 21-acre estate and occupies an idyllic beachfront. 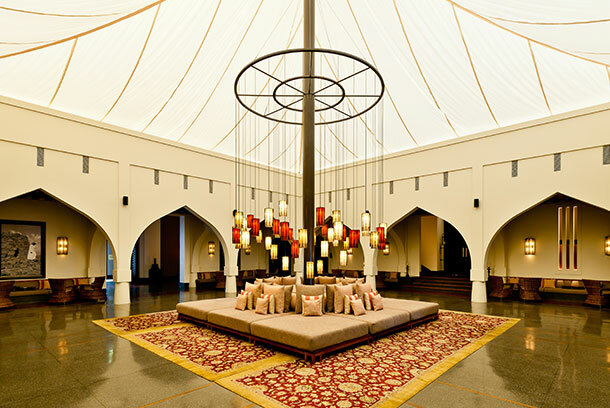 Perfectly blending contemporary décor with subtle bursts of vibrant hues and traditional aesthetics, it’s easy to see why The Chedi is one of Oman’s most stylish resorts and a true Arabian oasis. 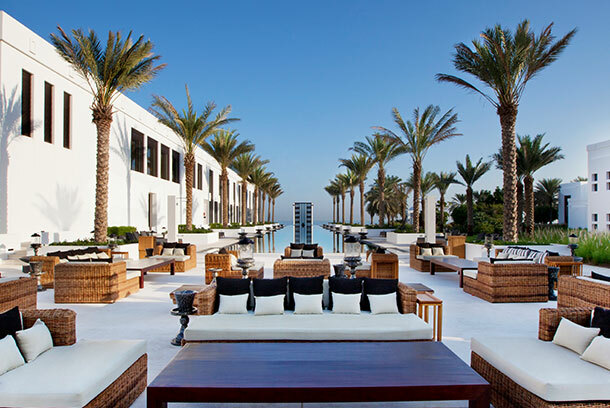 Inspired by clean lines and gardens of symmetry, The Chedi Muscat radiates a serene sense of calm, making it an ideal place to escape the chaos of everyday life. Featuring modern rooms and private villas, three pools complete with poolside cabanas, one of Oman’s largest spas, eight restaurants, wreck dives and snorkel excursions, guests will feel spoilt for choice with the endless range of experiences available at this winter-sun gem.